As Chief Executive Officer of an NGO and a former Commandant in the Irish Defence Forces, I am someone who has had the privilege of travelling extensively over the course of my professional career. I have visited many countries and sampled many different cultures. I have also witnessed stark injustice, and the sometimes deplorable conditions that children in developing countries often have to endure. ChildFund aims to tackle many of these injustices by providing children in the communities where we work with a solid platform for their physical, cognitive and social development. Our approach is organic and needs-led. We work with local communities and partners on the ground to identify gaps in provision that disadvantage children. We endeavour to cultivate a nurturing environment where children’s rights are respected and they can aspire to safer, more fulfilling lives with genuine prospects for realising their hopes and dreams. In 2015 the Camogie Association selected ChildFund Ireland as it Charity Partner of Choice. I was personally delighted for ChildFund to partner with this wonderful organisation that has done so much for girls in Ireland and which is firmly rooted in local communities’ right across the country. That sense of connecting to communities both at home and abroad has been a very important element in the success of the partnership to date. The main expression of the partnership thus far has been through the Dream Bike campaign. The aim of this initiative is very simple. 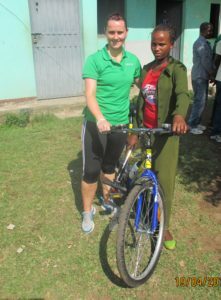 It is about providing bikes to vulnerable girls in developing countries who have to travel very long distances to attend schools, spending hours away from the family home and exposed to potential dangers, often arriving at school exhausted. In such circumstances the decks are loaded against girls who can face an uphill task just to continue their basic education ,much less aspire to greater things. Through our Dream Bike campaign we can do something about that. Just €100 is enough to buy a bike and change a HUMAN life! Imagine, a hundred quid? The impact of this practical assistance to help girls secure their educational future might seem modest but to a girl in the developing world it can be hugely significant. As the partnership has developed, four of camogie’s brightest stars have become ambassadors for ChildFund, helping to promote our essential work in assisting disadvantaged children overseas and setting an incredibly positive example for young girls here in Ireland. In April this year, we had the pleasure of accompanying two of these ambassadors, Cork’s Aoife Murray and Wexford’s Mags D’Arcy, on an inspiring visit to see our work on the ground first hand. The trip provided both women with an opportunity to meet their sponsored children which, as you can imagine, was an emotional and profound moment. They were also present to witness the first batch of girls to receive bikes as a result of the Dream Bike initiative, a truly joyous event that created enormous excitement for the girls receiving bikes, their families, and the local community who came out in force to join us and to celebrate. Some of the girls had to be taught how to ride a bike! I have travelled to Africa many times but rarely have I witnessed such a positive feeling as on this trip and been as inspired by the power of a simple gesture, such as the giving of a bike, to make such a big difference to a child who really needs it. The energy and enthusiasm shown by Aoife and Mags in supporting the partnership was and is infectious. Since returning they have given up much of their valuable free time to let people here in Ireland know exactly why the Dream Bike campaign is such a positive, life-affirming initiative, and why the camogie community and the wider public should take it to their hearts. 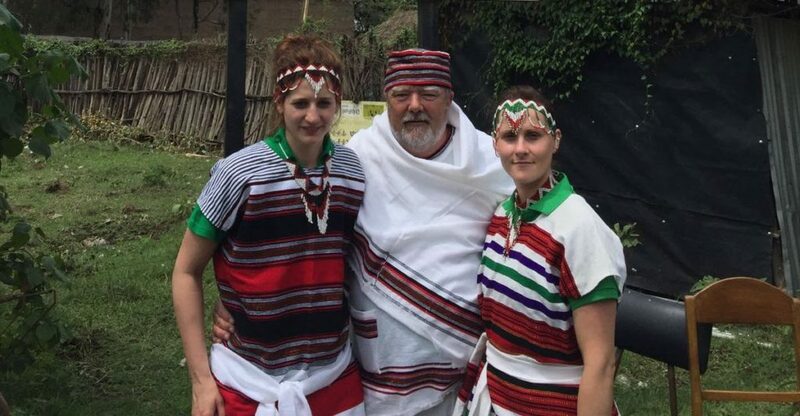 There is no denying that Aoife and Mags were hugely excited about the prospect of playing a game of camogie in Ethiopia – and we were just as excited to see this happen. To our knowledge, the first game of camogie to grace African soil! It was therefore a hugely proud and inspiring moment to see the U-12 girls from the Ethiopian village of Ropi kitted out in county jerseys, wielding the hurl and chasing the sliotar with great passion and enthusiasm across the lush green grass and blood red soil of an African village. 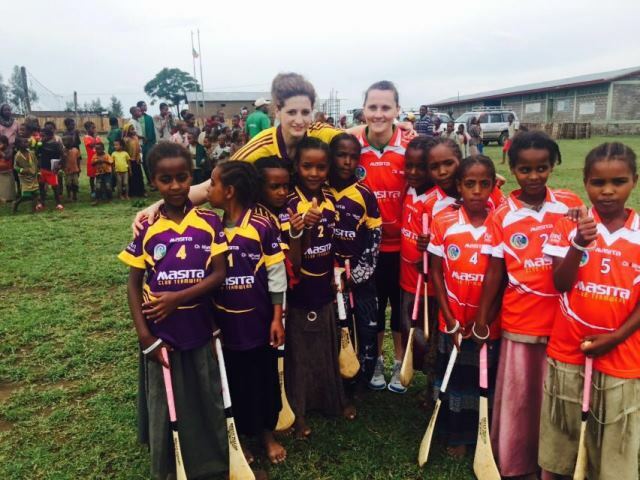 Prior to the trip Aoife Murray had announced her retirement from the Cork County team but has since cited this moment in Ethiopia as being the catalyst for reigniting her passion and encouraging her to return to the “County, like”. Returned she has with a vengeance! Aoife will do battle for Cork at the 2016 Senior Finals in Croke Park on September 11th and I as a Déiseach will be cheering on the Rebels for the first time!!! Adding to the excitement on the Ethiopia visit was the presence of Anne Cassin, her cordial producer Ann Marie O’Callaghan and cameraman Brian McVeigh from the RTE Nationwide team who were there to film the visit. It is hard to explain when you are present at a special moment…you can’t really explain it, you just sense it. Everybody there that day felt that same sense of witnessing something special, it was a unique cultural and sporting moment. That is why it gives me such joy to be able to share this privilege with you on Monday 5th September at 7pm when the programme airs on RTE 1 . If you are a sports fan, if you are somebody of compassion who cares about the daily inequalities children have to endure, if you are someone who actively supports overseas development work or someone who is thinking about it, or if you are simply interested in the world at large and celebrate other cultures, we invite you to tune in, watch the programme and be inspired to support us in doing what we do best – offering children a helping hand so they can achieve their dreams. Michael Kiely, CEO ChildFund Ireland.